1.1 What should tourists do? 1.2 What about lese majeste? 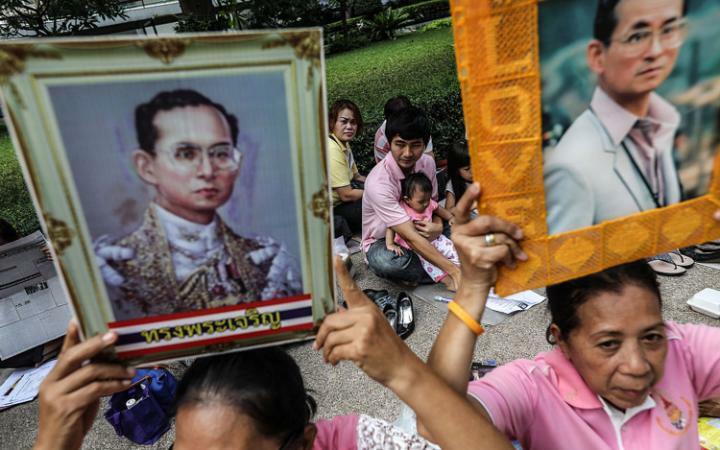 Ayear of mourning has been announced following the death of Thailand’s beloved King Bhumibol Adulyadej, the world’s longest reigning monarch, at the age of 88, the Royal Palace announced on Thursday. What does that mean for tourists in Thailand and those planning to visit in coming months? 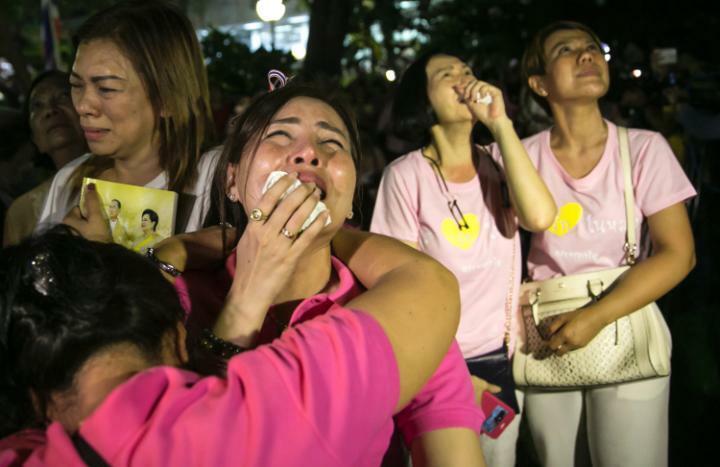 In addition to a year of mourning, the Thai prime minister said that entertainment must be “toned down” for a month, according to the AFP. His Majesty is considered to be am almost god-like figure to his people and tonight the atmosphere across Thailand is one of deep loss, with friends and families gathering together to mourn and pray for their King. In Bangkok, the normal bustle of the streets has been replaced with tuk-tuk drivers in tears and shop-keepers, market stalls, bars and restaurants slowly shutting up shop. In the other big tourism hot spots around the country, there is a similar sense of subdued shock. Wendy Cramond, a British tourist on holiday in Chiang Mai with her family, said: “Although I was initially concerned at the impact this might have on our travel plans, the hotel is running as usual at the moment and we have had no news of any immediate changes. Reuters was reporting that the Thai prime minster had ordered for troops to be stationed around the country to increase national security. In accordance with the FCO’s statement, it is reasonable to assume that Friday will bring a further outpouring of public emotion and an extensive shutdown of government and business across the country. Observers suggest it is also likely that entertainment activities will be severely restricted over the next 30 days, including the possible cancellation of the Koh Phangan’s famous full moon party, next due on October 17. The sale and consumption of alcohol may also be banned for a short period, as is often the case for religious occasions and remembrances in Thailand. However, it is currently understood that large shopping malls, tourist attractions and beaches will remain open for now. 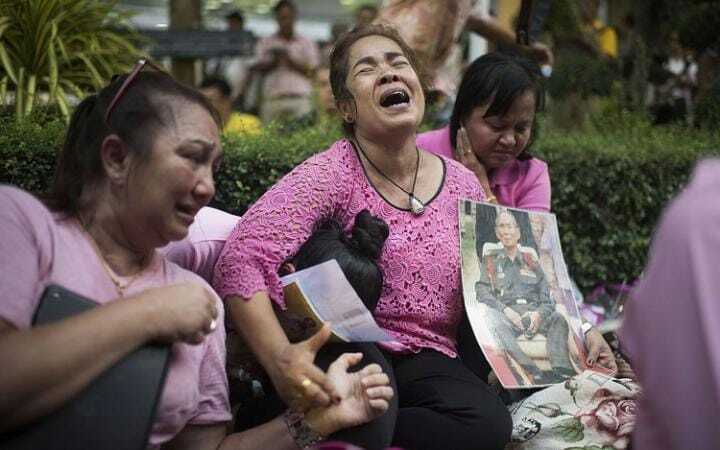 and remain sensitive to the very real grief of the Thai people. In addition, it is advisable to refrain from entering into any discussion of politics or making any derisory comments about the royal family or current situation. Insulting the monarchy is a criminal offence under the country’s draconian lese majeste laws; falling foul of it could lead to many years imprisonment, even for tourists. Steering clear of anything that may breach this law will be even more pertinent over the coming months. Tourists are not expected to wear black for the next 30 days. However, if you are able, I am sure the Thais would appreciate it if you wore muted colours. If not, it is possible to buy a black ribbon to pin on your shirt. Please be respectful at all times when around Thais. They are in deep mourning. But, life goes on. For Thais too. The King himself said that he didn’t want people to weep at his passing. So enjoy your holiday. BANGKOK — Officials have clarified that entertainment in the private sector is free to continue if it takes place behind closed doors. Entertainment businesses such as bars and nightclubs can operate normally so long as they are behind closed doors, according to a Sunday announcement by the Interior Ministry. Fairs and ceremonies, such as weddings and ordinations, are permitted but advised to refrain from playing music and showcasing any form of entertainment, the bulletin said. All kinds of concerts were asked to be postponed. No specific timeframe for their rescheduling was given. However as first announced Thursday, a 30-day moratorium on all entertainment-related governmental events was reiterated. The clarification came after concerns were raised regarding the entertainment sector, especially low-paid industry workers who would be strongly affected if their workplaces were ordered closed for a month. The military government has attempted to maintain a balance between a mourning period expected to last a year and the private sector’s dependence on trade and tourism. how to: scroll inside widget below to see the section "Updates"
1.2 What should tourists do? 1.3 What about lese majeste?